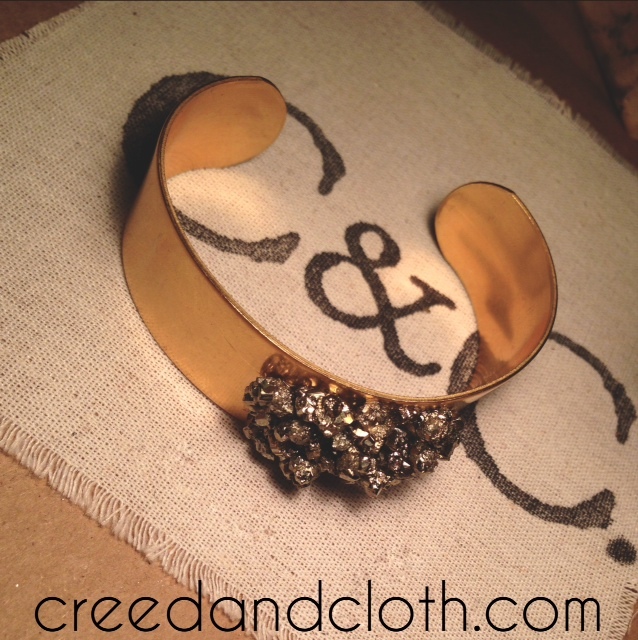 In honor of today I have partnered up with Creed & Cloth to giveaway one of their amazing Crushed bracelets. Crushed is a brass cuff with hand-crushed pyrite (aka “fools gold”), a crystal of positive energy. You will have 5 days to enter to contest. Please be sure to follow of the rules listed in the rafflecopter below. Good luck!! !